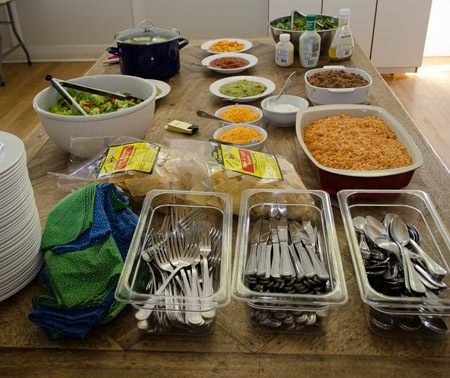 Games Night & Burrito Bar: Woot! Our first -- but not our last -- burrito bar. Great success! The game, Pandemic, drew a crowd! 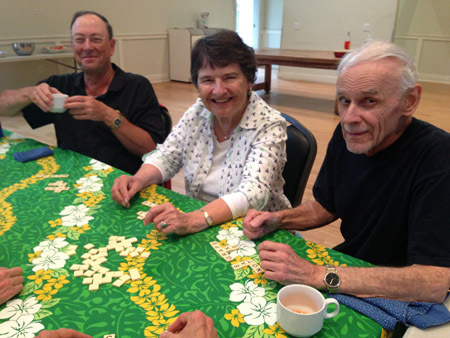 Louie, Sally, Bill, and others played Bananagrams. 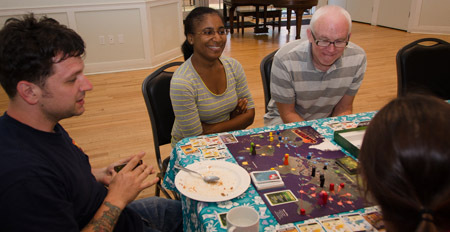 Mugsy taught Sharon, Mark, and others how to play Pandemic. The kids had fun, too -- playing ball, out on the play equipment, and Spot It. Apples to Apples is always a favorite. Above: Robin, Ginny, Judith, Kathryn, and a few others play. Oh, no! You didn't. 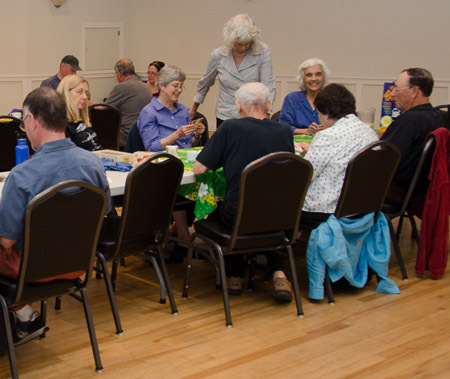 Niels, Ty, and others playing Yahtzee. Roger was the big winner of Chicken-Feet Dominos. Also shown are David, Mary, and Tom. 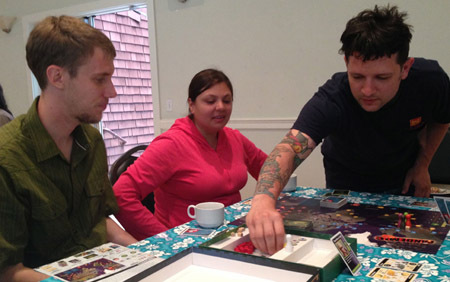 Eric, Reena, and Mugsy working together to avoid a Pandemic. 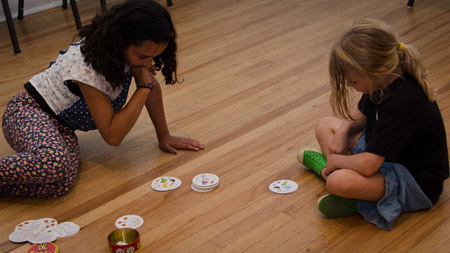 Twenty-seven Live Oak'ers playing a variety of games. 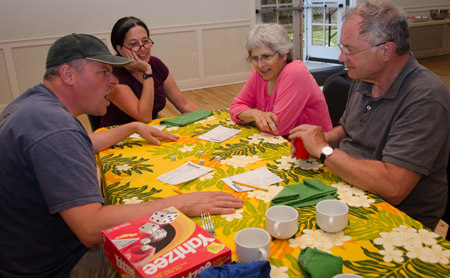 And looking forward to the next Games Night (Sept. 20).